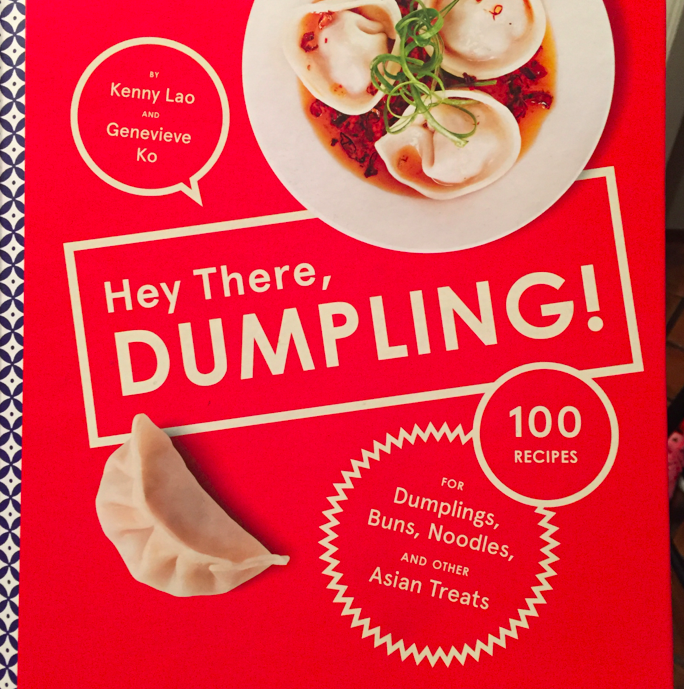 Remember Kenny Lao and his terrific book on Dumplings? 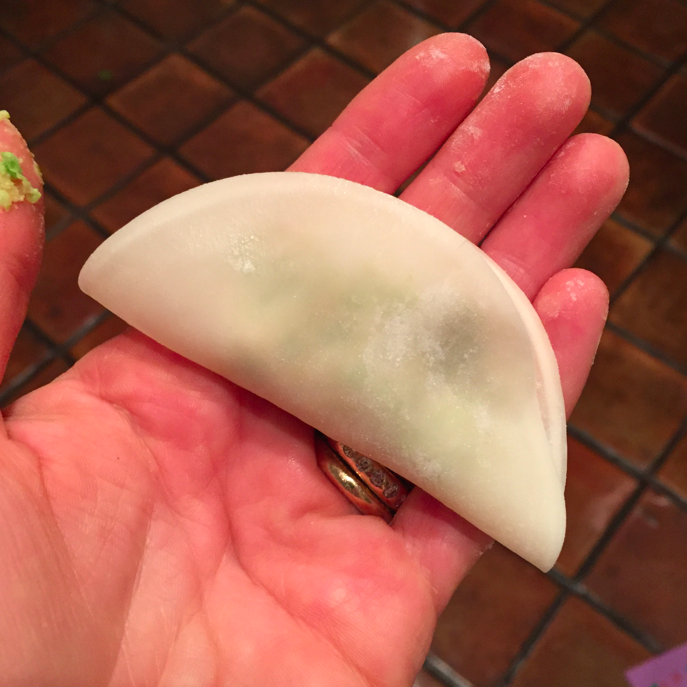 Ever since I interviewed him, I have thoroughly enjoyed making (and eating) his dumplings. 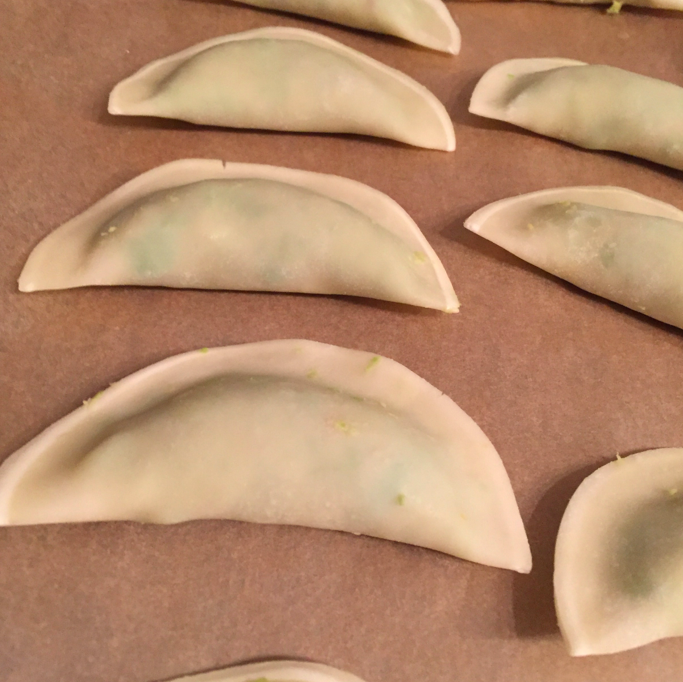 So, the first Sunday of the New Year, I decided to make some to chow, freeze, and gift! 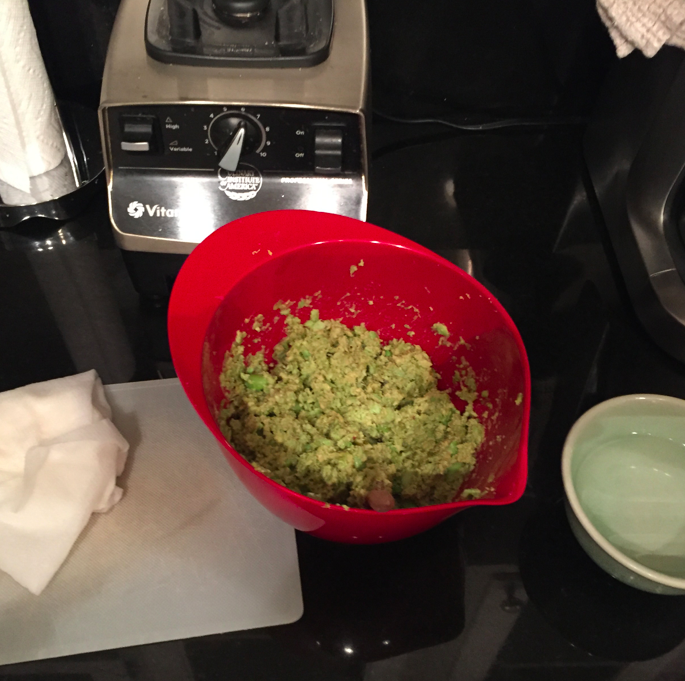 One of my favorite recipes is SUPER easy to make and is green, healthy, vegetarian AND delicious!). 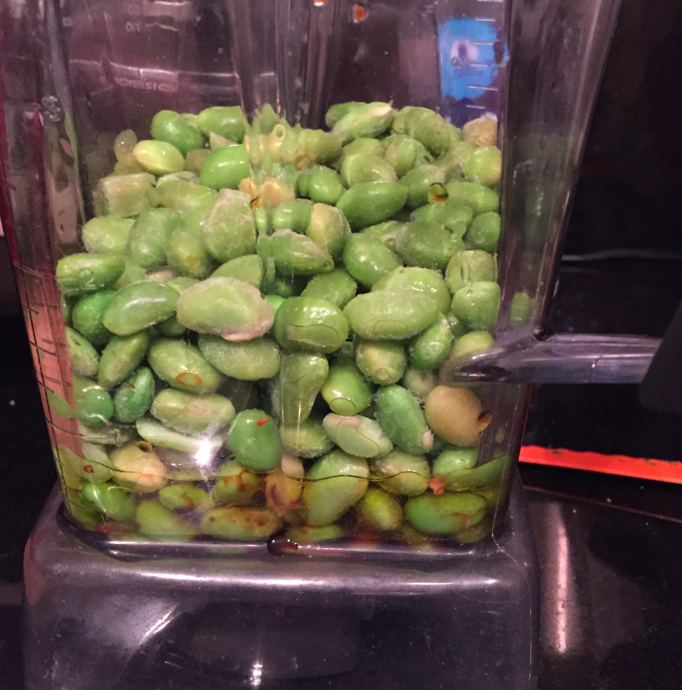 In a blender, add soy sauce, hot chili flakes, olive oil, and 2/3 of the edamame. 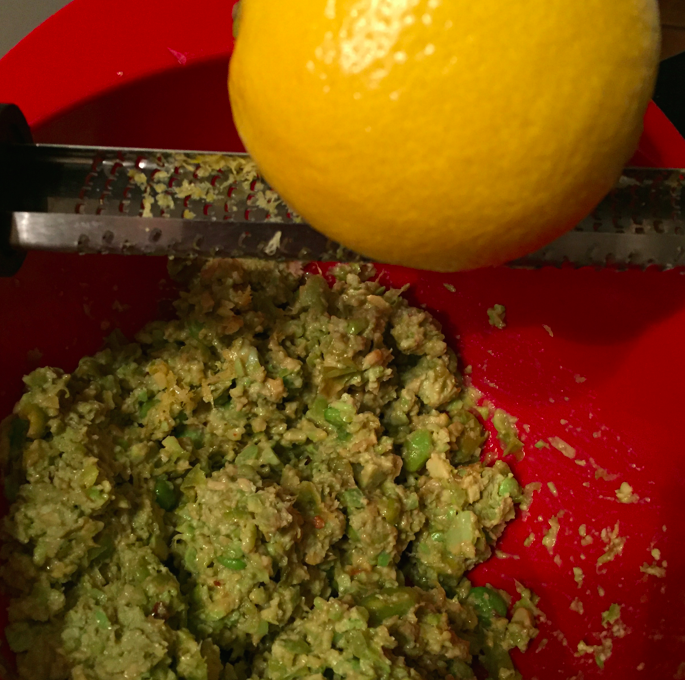 In a bowl, add the other 1/3 of non-blended-beans, juice from one lemon, and the zest of two lemons. ZESTER! That is one of my favorite words EVER. 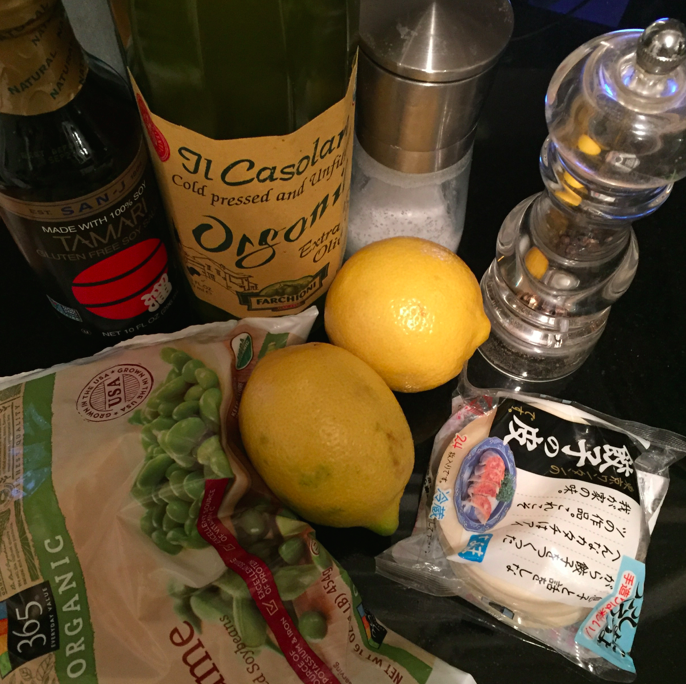 On the counter, set up a dumpling wrapping station. 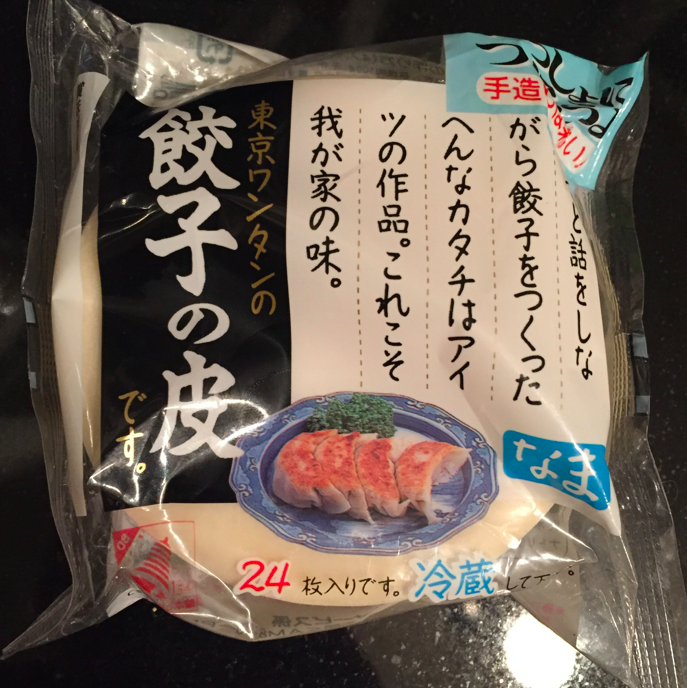 First, make sure that the wrappers are thawed (if you froze them) — it takes 30 minutes at room temperature. Then wrap them in a damp towel. Also have a bowl of water, which helps glue them together when you are done filling them. 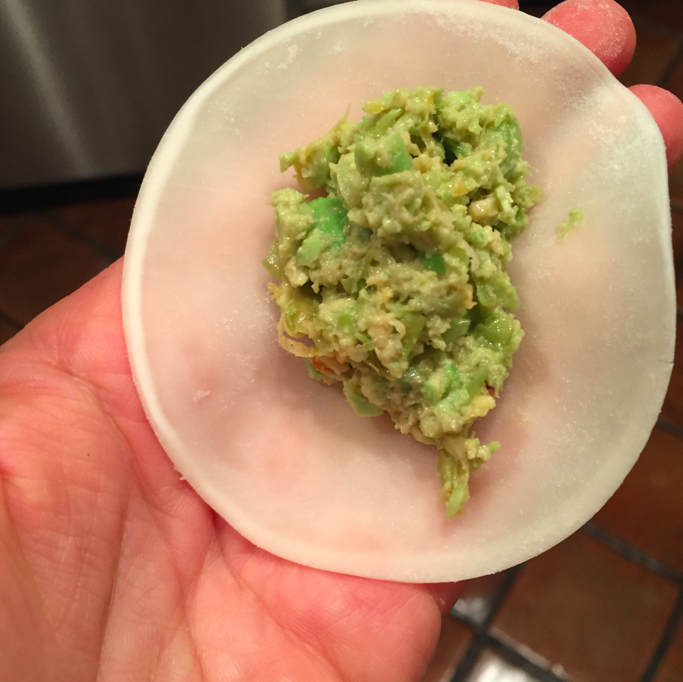 Place the dumplings on a pan (lined with wax paper) to freeze them. This will make it so they don’t freeze together and are easy to store. 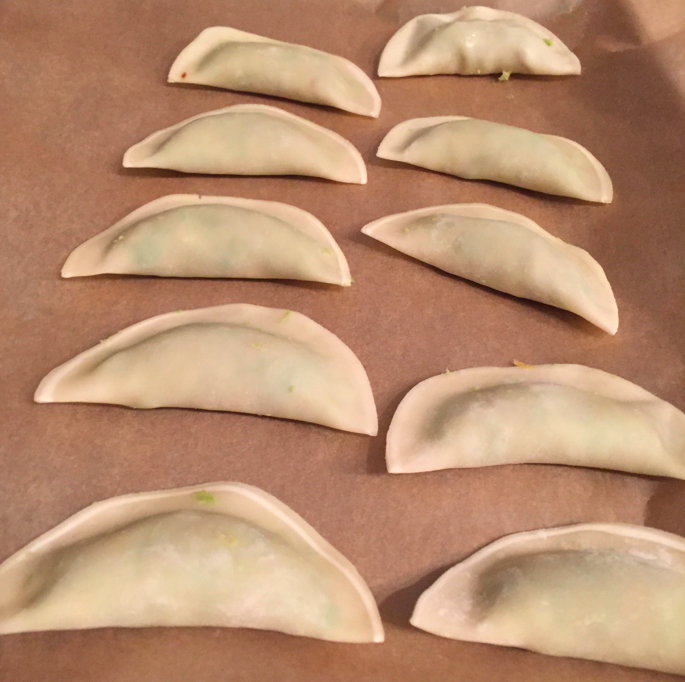 These dumplings make a great treat when you need an instant dinner (you will thank your hard word later!) or are a great present for a friend who needs some love/deserves some appreciation! So yes, these are time intensive (the wrapping takes a long time and you have to be patient and calm….things I typically am not), but you get into a trance and it is somehow meditative. 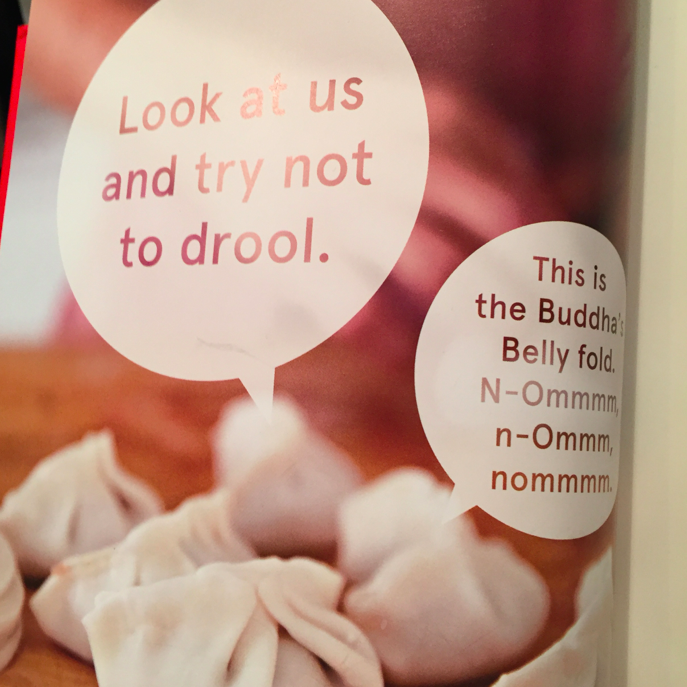 And making dumplings from scratch will make yourself proud (high five!) and your belly will thank you later! Enjoy! Okay I really need to get this book!! 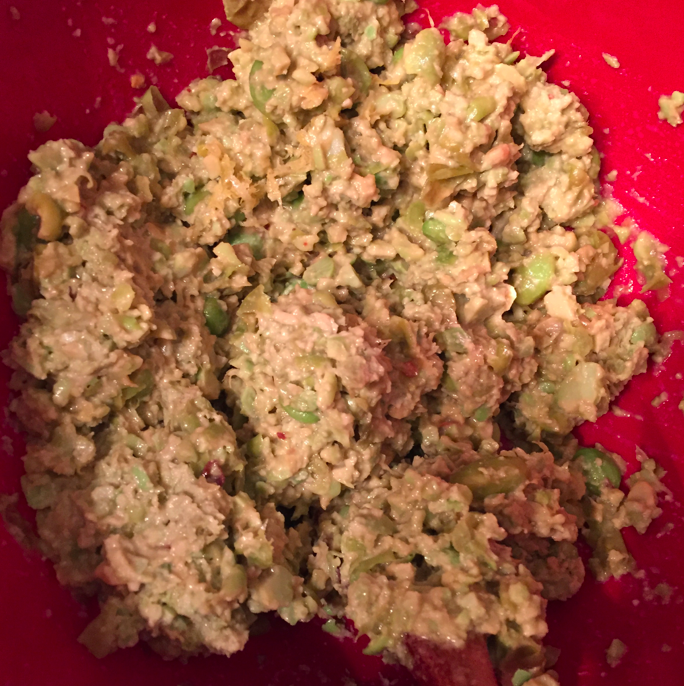 Awesome look delish, initially thought (although i have a of edamame in freezer) great, a pound of shrimp in food processor …hopefully this year i’ll cross the threshold to a much coveted vitamix…but nah, should try your healthy alternative …and i’ll have a uber duper a surplus of dumplings! 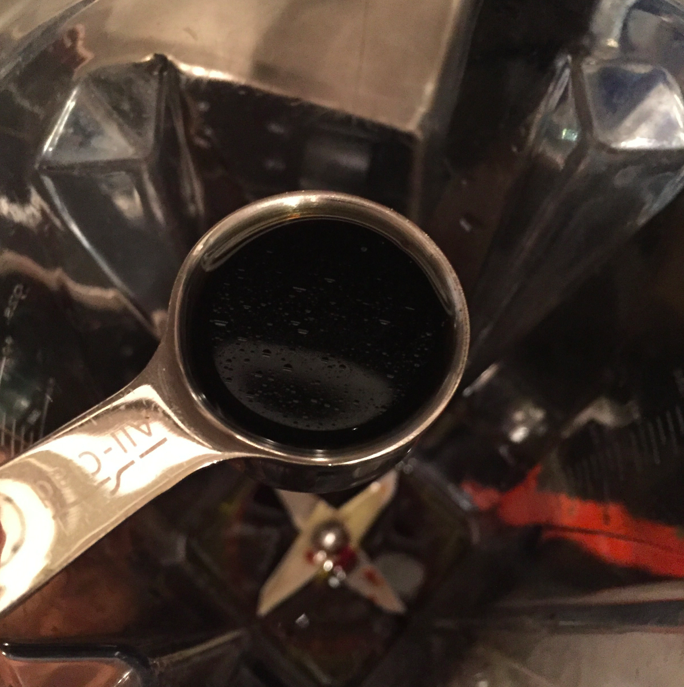 make 2 large batches! Gotta check out ken & gen’s book!